The City of San Francisco is filing a lawsuit against the developer of the 58-story Millennium Tower, which has sunk 16 inches since completion, causing it to tilt, among other issues. San Francisco’s city attorney Dennis Herrera said that he was filing the lawsuit on the grounds that Mission Street Development failed to notify the buyers and the city that the building was sinking at this rate. 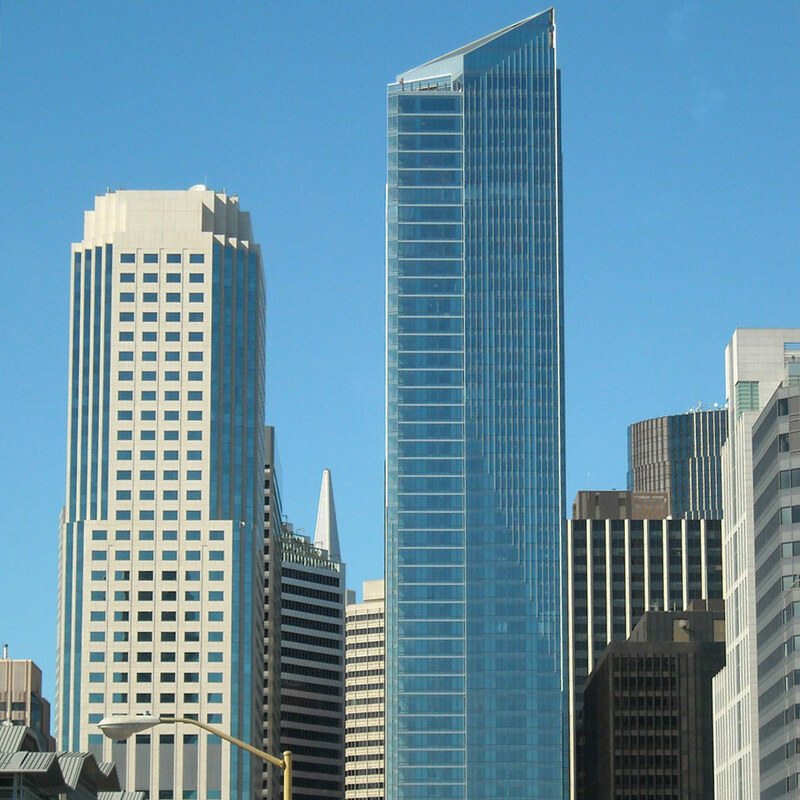 Since the building was completed in 2008, Mission Street Development has made hundreds of millions of dollars in sales from the approximately 400 units in the building, according to The New York Times. Apartments in the tower cost millions to purchase and the current owners of these apartments are understandably furious. Questions have been raised about the building’s abilities to withstand an earthquake and what ramifications this could have on not only those who live within the building, but for the buildings surrounding it. Its foundation piles are 90-feet short (rather than the 225-foot piles that would have reached bedrock). The skyscraper currently under construction next to the Millennium Tower, for example, has a foundation that reaches down to bedrock. P.J. Johnston, a spokesperson for Mission Street Development, told The New York Times that the city’s construction on the nearby Transbay Terminal caused the unexpected sinking when it removed water from the ground. “The city attorney’s action today has nothing to do with protecting public safety, the building, or its residents,” Johnston said in The New York Times. “Instead, it’s an effort by the City of San Francisco to duck its responsibilities and avoid paying for the harm caused by Transbay Joint Powers Authority." There are estimates that the building to sink up to 31 inches, which could put extreme strain on the building, particularly since it is in a seismic zone. Herrera’s lawsuit alleges that the developer knew by 2008 that this would be the case—a year before it started selling units—and that they developer had a legal obligation to tell buyers about the sinking. For the last couple of weeks, every night's been a party as the Millenium Tower plays host to Icons of Design, one of those opportunistic design events where hopefully everyone wins: High-end real estate is shown off, designers display their creative chops, charities get money, and the public gets a chance to wander through fantasy, "cost-is-no-object" spaces. For me, a trip up to the 52nd floor--the building has 60 floors, but my ears were already popping on the way down--was a chance to gawk at the latest in curtain walls. According to John Ishihara of Handel Architects, the unitized curtain wall system was built in China and snapped together on site. The bottom windows are operable, with top hinges so that rain doesn't come in, and they open up 4 inches. There is a one-inch gap between the two halves of the mullions, which enables a "trickle vent"--if you don't want to open the window, you can still let in fresh air but not the noise of the traffic below, muffled by the aluminum framing and internal baffles. 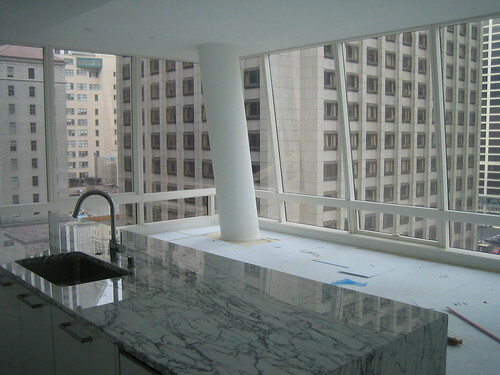 Being able to open a window made this space, 52 floors up in the air, feel a little homier than your typical sleek condo. And the interior design? Most of the designers went for tasteful opulence, with luxurious fabrics and exotic woods standing in for last century's patterning and gilding. Local stars Martha Angus and Charles De Lisle evoked a more contemporary sense of fun. And then there was the dining room by Martin Richards. With two enormous photographs (of a yoga teacher and her rocker husband, a takeoff on ducal Renaissance portraits), framed by lamps held by hand sculptures, the room was a like a modern version of Cocteau's La Belle et La Bête. Wouldn't it be fun to hold a dinner party in a space like that? The Icons of Design showcase is open to the public on weekends through November 22.